Elvis Presley's HiFi - What Brand? Discussion in 'Audio Hardware' started by monkboughtlunch, Oct 13, 2013. Can anyone make out what brand of stereo equipment Presley had in the rack? I see what looks like some Crown amplifiers and other Crown gear. billdcat, RonW, Vidiot and 1 other person like this. Yep. What else for "the King"?! billdcat, dhoffa85, forthlin and 3 others like this. Definitely Crown. Looked very closely when I took the tour a couple of years ago. Must be a very late pic. The King always had RCA-Victor playback gear. I think the Graceland Raquetball Court was built in 1975 and the Crown gear was probably purchased to outfit it around that time. Do you think Bill Porter picked it out for him? Just Googled Porter and Elvis HiFi and found this. Porter picked out the RaquetBall Court audio gear. Some info here on the speakers too: Electrovoice with 18" woofers. MF: Was Elvis a hi-fi fan? Did he have a bid system? BP: I never went into his bedroom, but I put a really elaborate system in his racquetball court. He had big, three-way Electrovoice custom systems with 18-inch woofers. Of course, you couldn't turn it up too much in a racquetball court, because the sound would bounce around so much ...I was using Crown amps. I had it set up for radio, cassettes and records. MF: Do you remember what turntable it was? BP: I had a Crown IC 150 preamp and a Lux(man) tuner. MF: Did Elvis have a big record collection? BP: I never saw the stuff he had. He carried tapes on the road, but he didn't listen too much. His entourage did. They had a VCR in the plane they used. They watched a lot of movies. MF: That was before Beta and VHS. They must have had ? inch. BP: Yes. U-Matics. They had access to movies. If a new movie came out, they had it. Turntable and billdcat like this. A p.a. amp? Maybe; shudder! Having just read the article, seems this wasn't Elvis' main stereo; the Electrovoice speakers mentioned sound like a variant of the Eliminator p.a. rig. Anyone know what HiFi Setup Elvis had in the basement (room with 3 TVs)? Speaking of Bill Porter, there is a new official Sony Elvis 2CD release, entitled On Stage Season that will be released on the Sony FTD (Follow That Dream) label which is due out sometime this month. On Stage Season features two complete Elvis concerts that Porter himself recorded from the soundboard in January and February 1970. The reason this release is so significant is that when RCA's Al Pachuki recorded Elvis on multitrack tape in mid February 1970 for what became the On Stage album, they didn't record any complete shows, only certain song selections. So Porter's soundboard recordings (perhaps mono on 1/4") mark the first ever official release of a Jan/Feb 1970 Presley show in its entirety. I have a crown DC300A just exactly like that in my basement right now. I had been using it to power my built-in infinite baffle subwoofer. One time a couple years ago I mentioned it to a friend of mine who works as an engineer at QSC (a pro audio amplification manufacturer), because I was thinking of a QSC rack mount amp to replace it. He told me that those old Crowns tend to fail catastrophically. Not a great vintage solid state piece. I now use a Vestax amp for the IB sub and it sounds much better than the Crown. Crown had a whole line of stuff; preamp, amp, components, that they were selling as high end rack mount solid state hifi gear. That's what this is. In the Porter interview I referenced upthread, Porter stated he equipped Presley with a Luxman tuner. 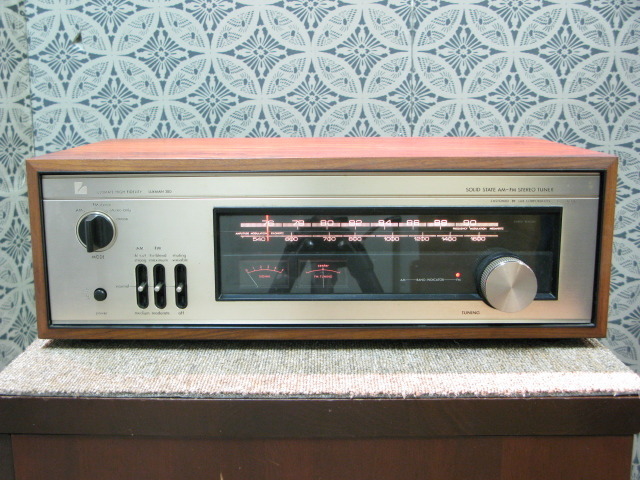 I did some Googling and found a Luxman tuner that appears identical to the unit second from top: Luxman T-310. Anybody heard these Luxmans? Compare this tuner with the one in the raquetball court which sits on top of the Crown VU meter unit. He probably got an employee discount too! The Crown system was set up in one of the outbuildings- the squash court building? -when we visited Graceland a few years ago. The basement stuff- I don't remember, it looked pretty cheesy- maybe possible to discern from pics. I do remember the big RCA console TV in the 'gold record room' that the company gave him after he made them a giant pile of money. 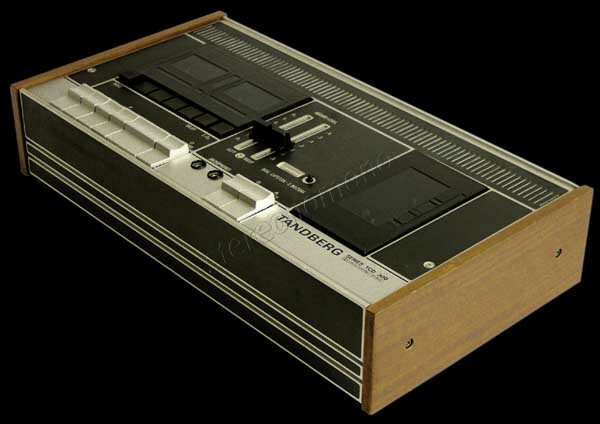 Porter didn't mention the cassette deck brand. 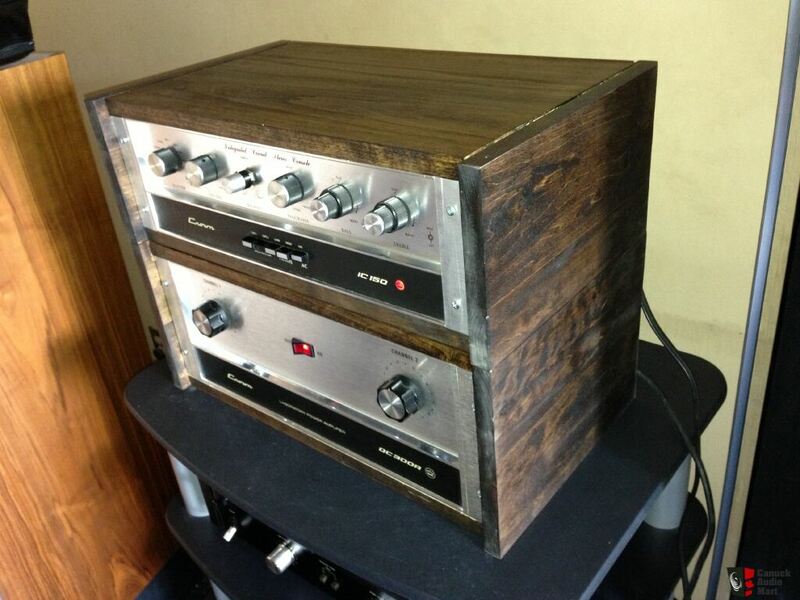 The unit sitting on top of the Luxman tuner looks like a cassette deck. I did some research using Google images and search terms (70s cassette desk, wood paneling) and found this image. It appears Presley had a Tandberg TCD 300. It certainly looks like the unit in the Raquetball Court photo (note the distinctive two stripes in front). jeffrey walsh and PhilBiker like this. Anyone have pictures of the speakers that Porter referenced? ==> Electrovoice with 18" woofers. Porter says it's a custom system, so perhaps the speakers were built into the walls of the actual court itself? Able to narrow it down a little more. Are there any photos of the turntable in the Raquetball that Porter mentions? I didn't see one. I kind of remember pictures of Elvis Memphis house and seeing an RCA Orthophonic Record Player, the model with the legs. That's about right. I bought my Crown DC300A in 1976. The 300A had silver knobs. Didn't make me sing any better, either.